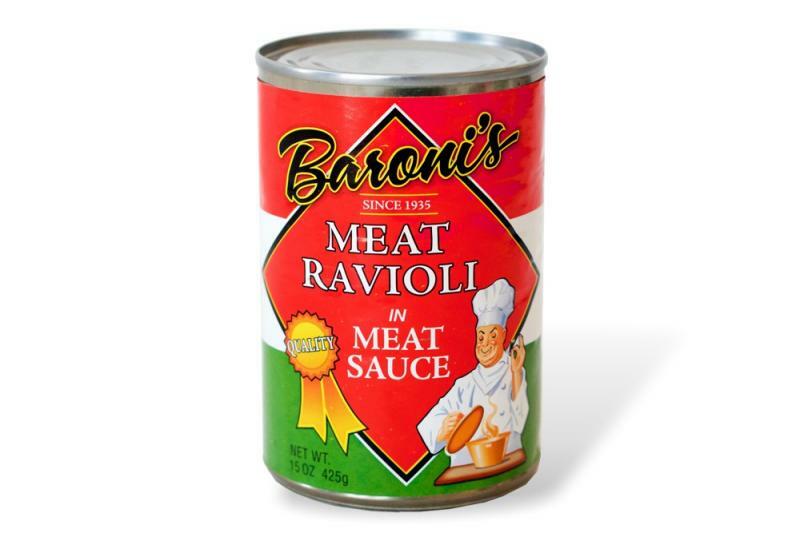 12/15.5oz Canned Meat Ravioli in Meat Sauce. Water, beef, tomato paste, onions, modified food starch, salt, carrots, celery, flavorings. Ravioli: Semolina durum flour (enriched flour, niacin, ferrous sulfate, thiamine, mononitrate, riboflavin), beef, pork, water, eggs spinach, salt, flavorings.